These two were amazing to photograph. Nadav stepped in front of my camera and I just about fell over with the gorgeous images, he was a perfect model. His brother followed suit with little to no direction. I love photographing kids! I’m so excited their Mom decided to put this portrait of the two of them up large on the wall… where it belongs! What better way to celebrate the magic of childhood and childhood friendships than a portrait party to freeze it all in time? There is nothing more exciting as an artist than receiving recognition from your peers. I’m proud to announce my bronze awards at The Portrait Masters! This little sunshine right here was so amazing to have in studio! From her sassy attitude to her angelic smile, we had such a great time capturing Layla’s personality. These two right here. I have been friends with their Mom since hmmmm…. 1986 or so? She is one of my longest, bestest friends in the world. And that makes her kids Family. Jaxson is the quiet one, and Julia is the crazy one. My daughter adores them. I have watched these two grow up into amazing personalities and I have been photographing them since the beginning. Every year I look forward to what magic we can create. I love you guys!! When you get a chance to photograph a stunning beauty like Olivia, you jump at it! It’s magical to watch young ladies light up and come to life in front of your camera. Isn’t she gorgeous? By the way, these stunning dresses are part of our studio wardrobe. Request them at your own session! The love shows through for these 3 sisters! 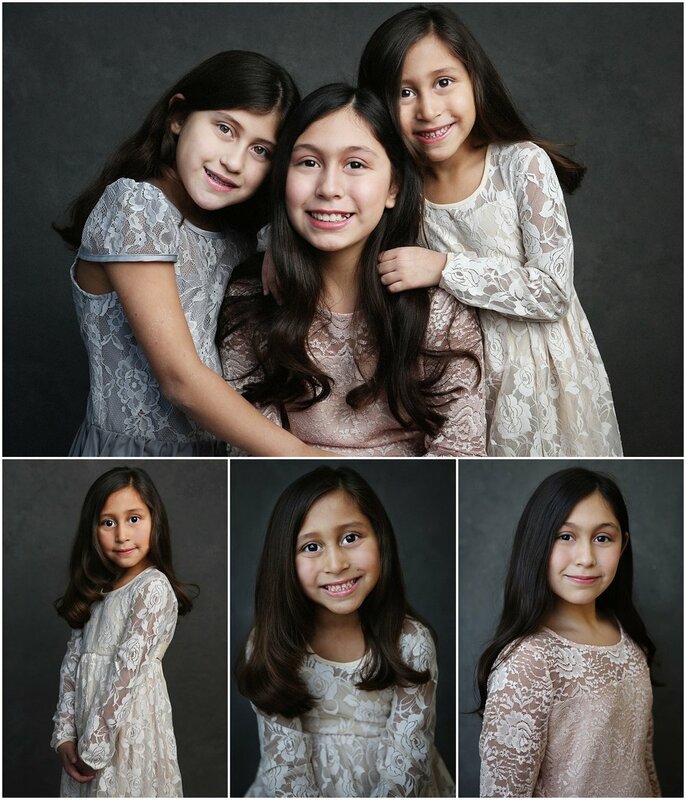 It was a pleasure photographing Jocelyn (who is a local actress) and her two sisters. Aren’t they great? There is a special bond between brothers and sisters. It is particularly strong between these two… Rico is fiercely protective of his baby sister. I’ve known these two since well, almost Rico’s whole life and Grace since she was born. 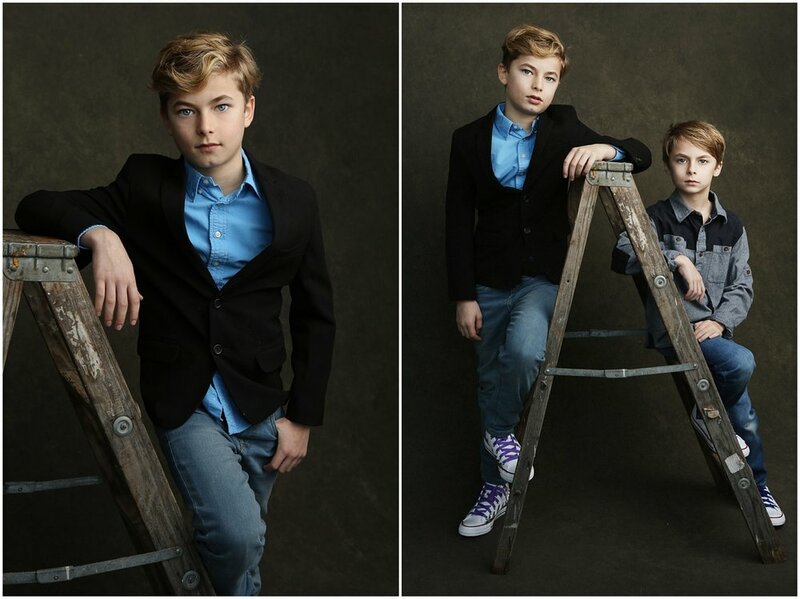 I’ve watched them blossom into amazing kids, and it was so fun to have them in front of my camera!